Marketing your business takes time and dedication. You will spend a lot of time learning about different possibilities and testing them in order to find a strategy that works for your business. You will follow it up with rigorous hard work while implementing the plan. Instead of wasting time on learning something you are yet to master, invest your time and energy on other aspects of your business. Do clever business and outsource your marketing for these 10 simple yet convincing reasons. Have you ever tried to tell a story to someone? It’s difficult to tell it if you are asked to keep it engaging for a bunch of people while branding your business at the same time. If you can’t do that, you should outsource your marketing. If you are trying to market your business using industry’s leading marketing tools, think of spending thousands of dollars. That could be a huge sum of money to pay every month just to use a few tools to improve your marketing campaign. Outsourcing your marketing could cut this cost by a large chunk and deliver better results at the same time. Marketing tools cost a lot in monthly bills and still some of them will require hours of training. Since most of the tools used by pro marketers provide a lot of information, you need to dedicate a lot of time to learn how to filter this information. 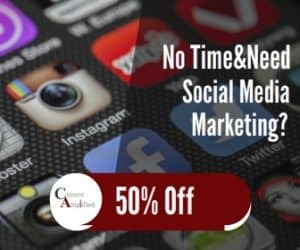 Outsource your marketing to save your time. If you spend all your time on learning and experimenting with different marketing tools, who would take care of your business assets? Outsource your marketing to a professional marketing agency so that you can keep your focus on business assets. Marketing is a constantly changing vertical. Unless you spend your entire day learning about the latest marketing trends and technologies, you will be flying blind. When you want to do the marketing yourself, it could become a total mess when you look at reports. With tons of stats in each report, you may find it extremely difficult to keep track of your campaign. Outsource your marketing to only know what matters. When you outsource your marketing, you don’t have to worry about usual employee problems. Leave it all to the marketing agency and let them handle staff issues including management, satisfaction, salaries, and working environment. Marketing is a diverse field that’s constantly expanding. You can’t expect to do well unless you have a team of experts working for you. Outsourcing your marketing will allow you to engage a result-oriented team of expert marketers. Outsourcing your marketing ensures an excellent return on investment. You can be sure that your funds are invested properly so that you can gain the maximum benefit. When you outsource, you open up to a global knowledge base. Imagine a guy from Europe is designing infographics for your business while a guy from Canada is working on some animations for your marketing videos. It brings in global knowledge and your business benefits from it. I hope you will find a few good reasons to outsource your marketing. It’s convenient and saves you money. You spend less time on marketing and a great return on investment is almost guaranteed with a team of expert digital marketers.